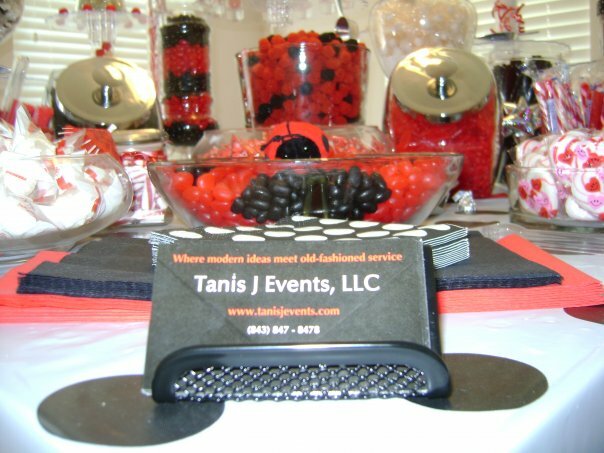 At Tanis J Events we offer many different services, one of them being candy buffets for your big day! You tell us the colors, we send you a proposal, and we will make your dream charleston candy buffet come true! Every wedding can use a candy buffet. All clients and guests love having something different, and this sure will draw guests’ attention and make your wedding stand out from the rest. 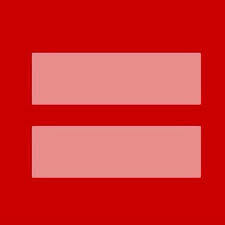 No matter the size, we can make something great for your wedding day here in Charleston. We can match the candy buffet with any colors and theme you might have with the right decor, candy, and more! 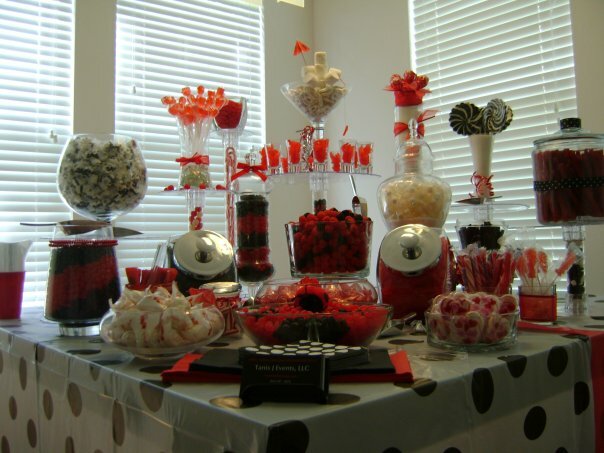 Contact us for more information on our Charleston Candy Buffet!